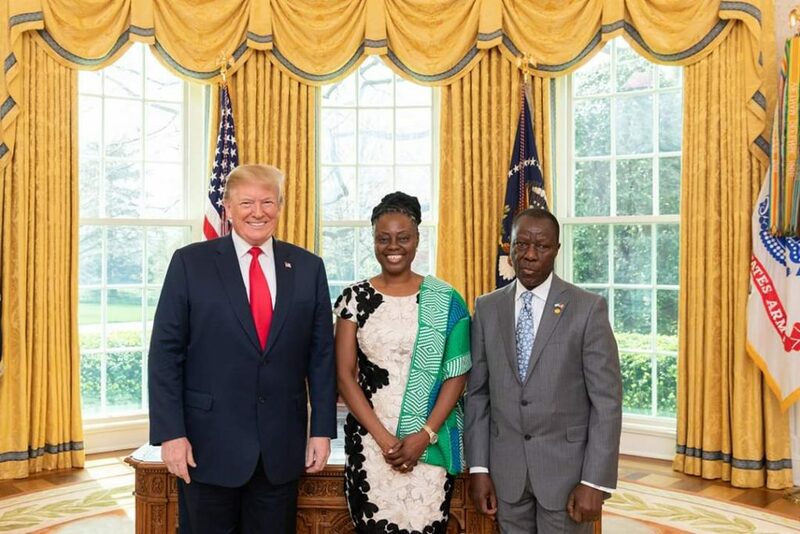 Sierra Leone’s Ambassador to the United States, HE Sidique Abou-Bakarr Wai and his beautiful wife met with President Trump yesterday in a ceremony to present his credentials to the President of the United States. Several weeks ago, Amb. Wai presented his credentials to the State Department. Being no stranger to the corridors of power in the United States, the former adviser to the New York Police Commissioner and one time candidate for New York Public Advocate, Amb. 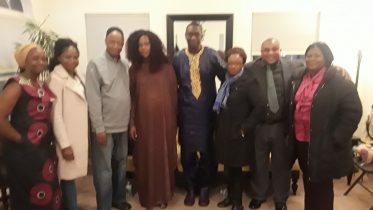 Wai is prepared to hit the ground running to promote President Julius Maada Bio’s “Economic Diplomacy” agenda in the United States and the seven other countries he is accredited to in North and South America. A reception hosted at the residence of Amb. Wai yesterday after the event was attended by several dignitaries and community leaders including the city administrator of Golf Port, Mississippi, Hon. John Kelly; four ambassadors representing Guinea, Mali, Benin and Egypt; representatives of the Sierra Leone Government including finance minister, Hon. Jacob Jusu Saffa, NRA commissioner, Dr. Samuel Jibao, financial secretary, Mr. Sahr Jusu; representatives of political parties in Sierra Leone including chairpersons of the SLPP, APC, NGC and C4C; and leaders of the United African Congress. Hon. 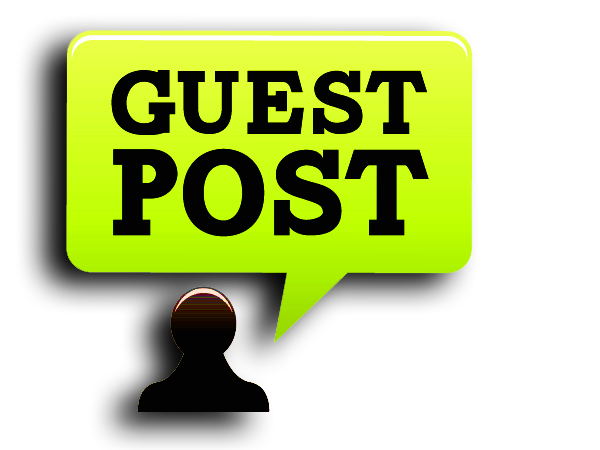 Kelly remarked that the State of Mississippi is impressed with the strides of President Bio’s government and therefore the Governon of Mississippi will be inviting President Bio to their state in the Fall. At the event, Hon. Jacob Saffa lamented on the achievements of the government in the first year and paramount among his enumeration was financial probity. Many speakers congratulated the Bio led government and pledged their support for Amb. Wai and the Bio administration. 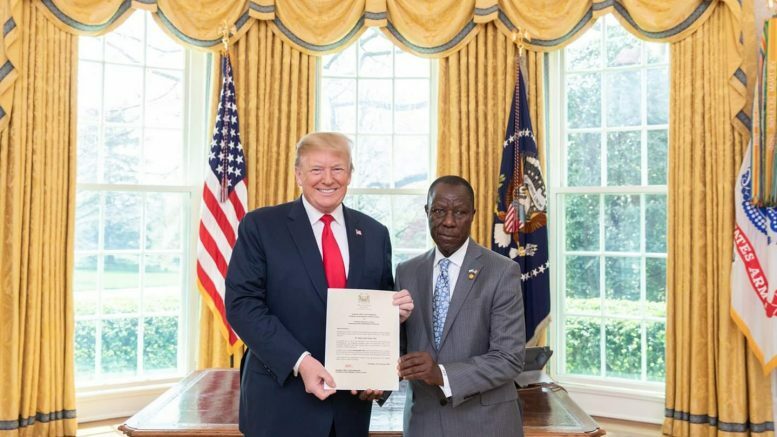 Be the first to comment on "Ambassador Sidique Wai Presents His Credentials to President Trump"